Ted Croner (1922–2005) was born in Baltimore, MD. 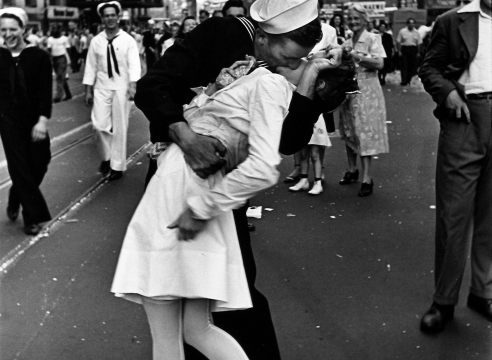 and grew up in Charlotte, N.C. After joining the army during World War II, Croner worked as an aerial photographer with the United States Army Air Corps stationed in the South Pacific. 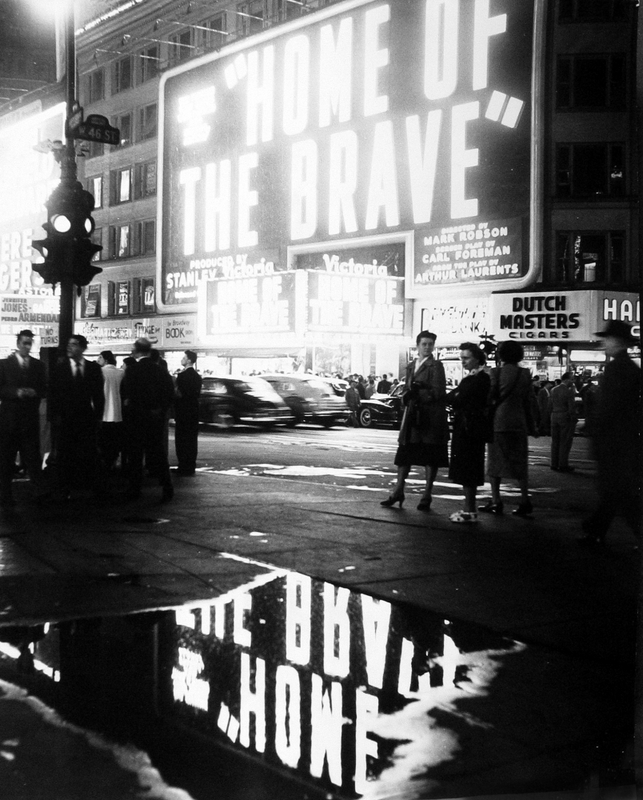 In1946, Croner went to New York where he and Bill Helburn, another former Air Corps photographer, used their G.I. Bill aid to open a small photography studio on West 57th street in Manhattan. Shortly after that, Croner enrolled in Alexey Brodovitch’s photography class at the New School. 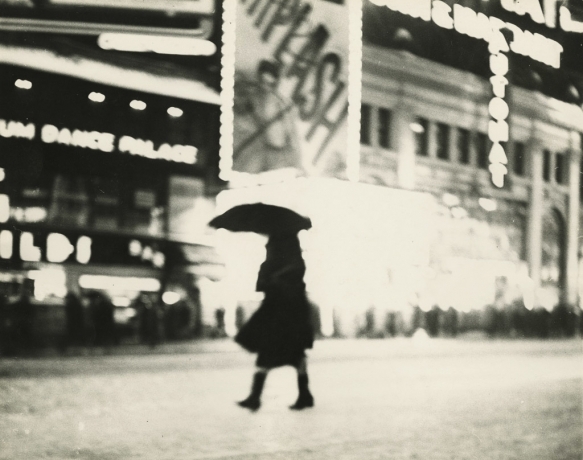 Perhaps Croner’s best-known work, Taxi – New York Night, 1947-48, was taken while he was a student in Brodovitch’s legendary “design laboratory”. 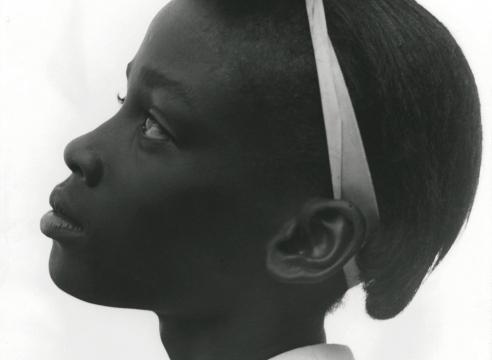 In 1948 Edward Steichen , then the director of photography at the Museum of Modern Art in New York, chose to include Croner in two exhibitions at the Museum: “In and Out of Focus” and “Four Photographers” which included three other photographers: Bill Brandt, Harry Callahan and Lisette Model. Other exhibitions of Croner’s work followed. 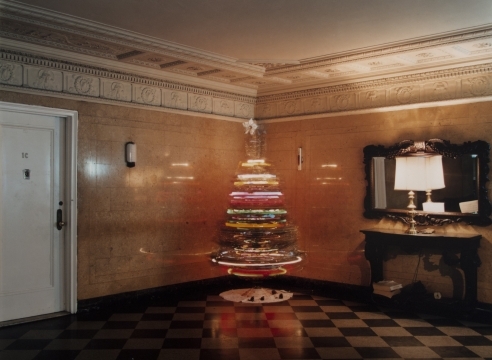 As he continued to accept commercial work at magazines like Harper’s Bazaar and Vogue, Croner pursued his own photography, producing vigorously experimental, cinematic images of cafeterias, solitary diners and the city after dark. 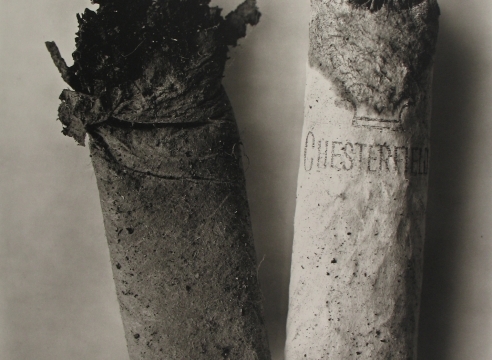 Interest in Croner’s work was revived with the publication of The New York School, Photographs by Jane Livingston in 1992 which followed the 1985 exhibition of the same name at the Corcoran Gallery in Washington, DC. For the cover of the book, Livingston chose a picture by Croner, “New York at Night, 1948″ which shows a Manhattan skyline reduced to abstract slashes of white light among black tall buildings against a gun-metal gray sky. This was followed by inclusion in the exhibition “By Night” at The Cartier Foundation in Paris in 1996, the Whitney Museum’s 1999 exhibition “American Century Part II” and in 2005, in the exhibition “At The Crossroads of Time: A Times Square Centennial” at the Axa Gallery in New York, and in “Street Seen: The Psychological Gesture in American Photography 1940-1959″ at the Milwaukee Art Museum in 2010. The Eye of Photography magazine is running an ongoing series on Howard Greenberg's 25th Anniversary book An American Gallery. This is the third installment.